All AERIUM ENCORE homes currently listed for sale in Scottsdale as of 04/25/2019 are shown below. You can change the search criteria at any time by pressing the 'Change Search' button below. "Fabulous Old Town Location! Light filled end unit with N/S exposure. Master Bedroom-large walk-in custom closet and upgraded oversized spa inspired couple's shower. Attached oversized 2 car tandem garage, multiple balconies & over 16 x 20 foot private backyard. 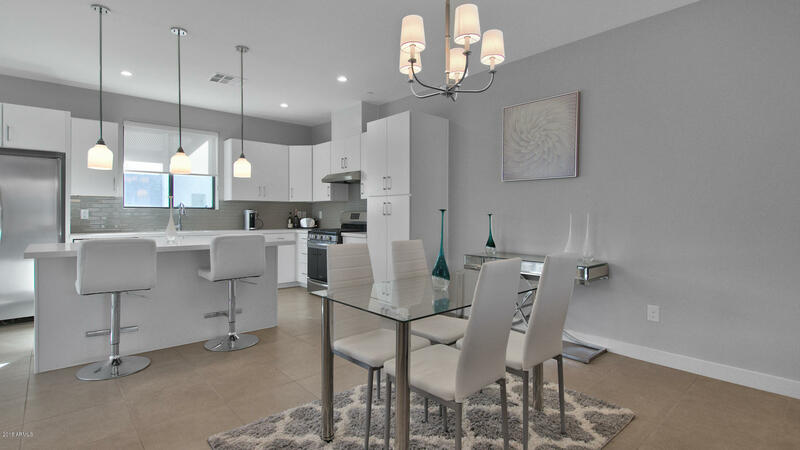 Open-tread staircase, white quartz countertops, warm grey custom paint throughout, flat panel cabinetry, gloss tile backsplash & stainless steel appliances with gas cooking. Sparkling pool (heated in Winter months) with sheer waterfalls,"